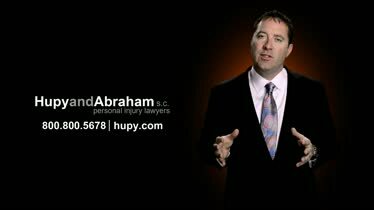 Iowa Personal Injury Lawyers | Hupy and Abraham, S.C.
What Shouldn’t I Do to Jeopardize My Injury Claim? After a traffic accident, there are many things that you could do unknowingly to harm your case. Watch this video to learn what things you should avoid doing. What should be simple may end up being one of the greatest challenges in your life. Someone else’s negligence caused you to suffer an injury and it should be that person who pays for your injury. Unfortunately, your recovery is not automatic and personal injury cases are often complicated. But you don’t have to fight alone. 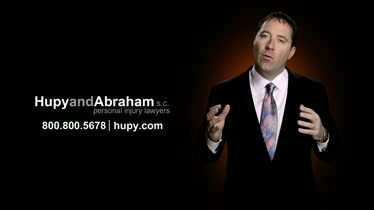 Instead, the legal team of Hupy and Abraham can help you get a fair recovery. 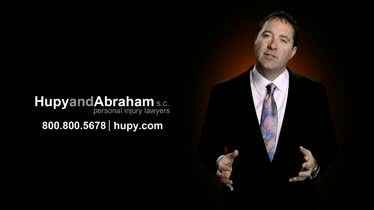 Since the 1960s our law firm has been helping people hurt in personal injury accidents. We provide the individual attention that every client deserves. We will answer all of your questions, we will advise you about your legal options, and we will work tirelessly to get you the just recovery allowed by Iowa law while you work on your physical recovery. We have three convenient Iowa offices—located in Cedar Rapids, Des Moines, and the Quad Cities—and we would be pleased to provide you with a free, no-obligation consultation at the office of our choice so that we can discuss your unique claim with you. This is often the first—and most important—question that we hear from potential clients. Our goal is to make things better for you after you suffer a personal injury. At our first meeting, we will talk about what happened to you and about how Iowa personal injury law applies to your case. We will answer all of your questions, and we will ask some of our own, so that we can advise you about your legal options and help you decide whether you should file a personal injury claim. After an Iowa accident, you have the right to do nothing. This decision, however, comes at a significant cost. If you do nothing then you will recover nothing. Instead of accepting the financial burden of your injury, you also have the right to pursue a fair settlement or to take your case to court if someone else’s negligence caused your injury. If you choose either of these options, then our experienced personal injury lawyers can be there to guide you every step of the way. You won’t have to wonder whether you are making the right decisions because our legal team will explain everything to you and work hard on your behalf. What Can I Recover If I File a Personal Injury Claim? This includes the damages that you’ve already suffered, the costs you are currently incurring, and any expenses that might come up in the future as a result of your accident or injury. How Do Personal Injuries Happen? If you’ve been hurt in any of these types of situations, then it is important to seek medical help and legal advice as soon as possible. What Kind of Personal Injuries Can Occur? We also represent the estates of people who have died in Iowa accidents. In order to make the important decisions that you need to make after you are hurt in an accident, you need information, and we want to provide you with that information. Below are some of the common questions that we hear from our Iowa clients, and our answers. Do I have a case or was my injury just an unfortunate accident? You have a case if the person who hurt you was negligent or acted intentionally. It depends on the unique facts of your claim. Should I hire a personal injury lawyer? 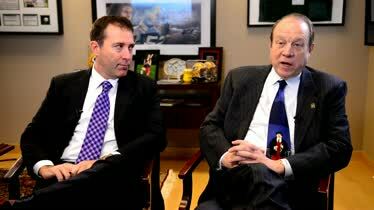 If you are going to pursue a claim then you should hire an attorney to help you. Personal injury cases are not easy and you deserve to have someone fighting for your rights, just as the insurance company has professionals defending its decision against paying your claim. How long do I have to file a case in Iowa? In most cases, you have two years to file a personal injury case in Iowa. If you fail to file your case before the statute of limitations expires then you may not recover damages. How do I file a personal injury case in Iowa? Your case begins when you file a complaint in state court. You may negotiate with the insurance company before that, but your legal case does not officially begin until the complaint is filed with the court. What is my personal injury case worth? That depends on how badly you were hurt and what percentage of liability is assigned to the defendant(s). Your recovery should include compensation for your past and future medical expenses, lost income, pain, suffering, and other damages. What options do I have after I’m hurt? You have the option to protect your rights by gathering evidence and consulting a lawyer, or you have the option to do nothing and to pay your injury expenses independently. What mistakes should I avoid if I’m hurt in an accident? You should avoid negotiating with the insurance company without legal representation, you should avoid failing to gather evidence, and you should avoid handling your case on your own. These questions—and answers—are important, but we know they are not the only ones that you have about your legal rights and recovery. You should not go from the accident scene to the courthouse to file your complaint. Instead, you should use the days and weeks following your accident to get your individual questions answered and to make a well informed decision about what to do next. Our experienced Iowa personal injury lawyers are here to answer your questions. We would be pleased to schedule a free, no-obligation consultation with you so that we can answer your questions in a face to face meeting. If you decide to move forward and to hire us, then we will not be paid until you recover damages in a settlement or in court. Therefore, there is no risk involved in contacting us. We only work with people who have been seriously hurt and the estates of people who have died in accidents. We know what you have at stake, we know you want to make good choices, and we are here to help you. Contact us any time—24/7/365—to learn more. How Can Social Media Impact My Case? 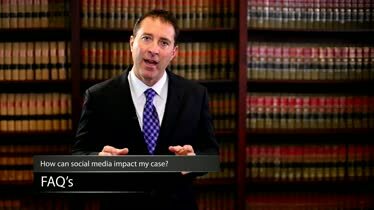 Find out why using social media after an auto accident may cause more harm to your car accident claim. What Is the Social Responsibility of the Legal Profession? 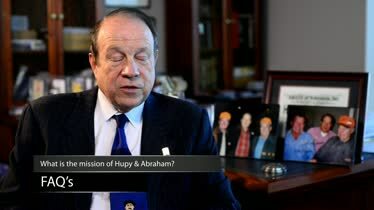 Find out what the primary responsibility of the legal profession is and how Hupy and Abraham is doing their part to fulfill this role.